Life can be difficult. One moment you're on top of the world and the next you're stricken with a serious problem. It would be great if you could conjure up a wise answer to solve any problem, but few people are blessed with that kind of gift. Do you know who always seems to have great advice to deal with life's troubles? Rabbis! Yes, you can take just about any problem to a Rabbi, and they can draw upon their experiences and studies to help you out with just about any situation. Of course, you can't just obtain that kind of wisdom overnight. It takes years of studying to gain that sort of perspective. But, perhaps with this Strommel and Payis Hat, you can channel some of your inner wisdom for a new perspective on any problem. This hat is designed to look like a Jewish Rabbi hat. It's made out of a polyester fabric and it has a polyurethane foam interior. It has a faux fur along the crown and it even features synthetic hair hanging down from the sides. 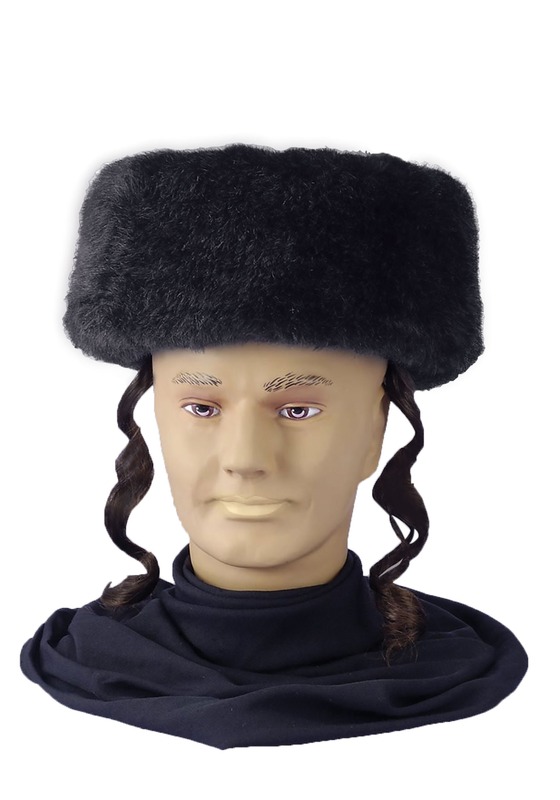 Now, this hat definitely won't turn you into a certified Rabbi, but it does make you feel just a little bit wiser when you wear it!